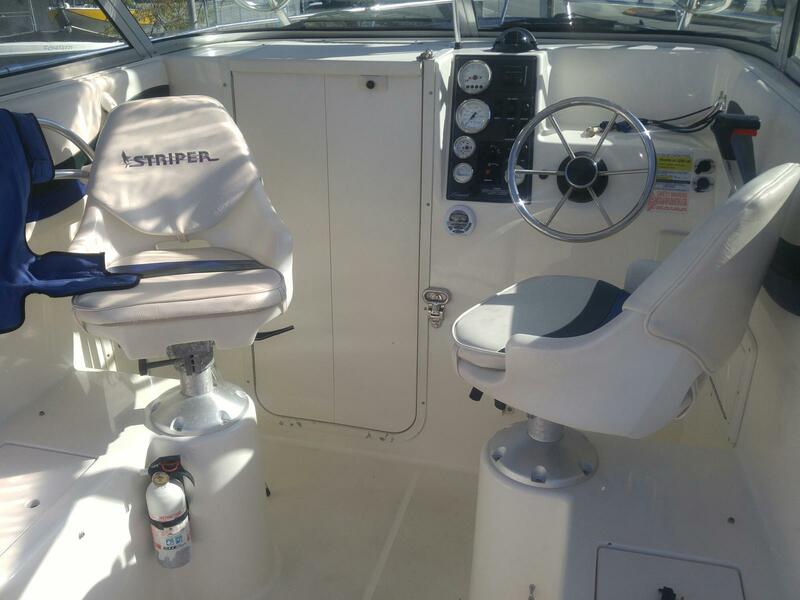 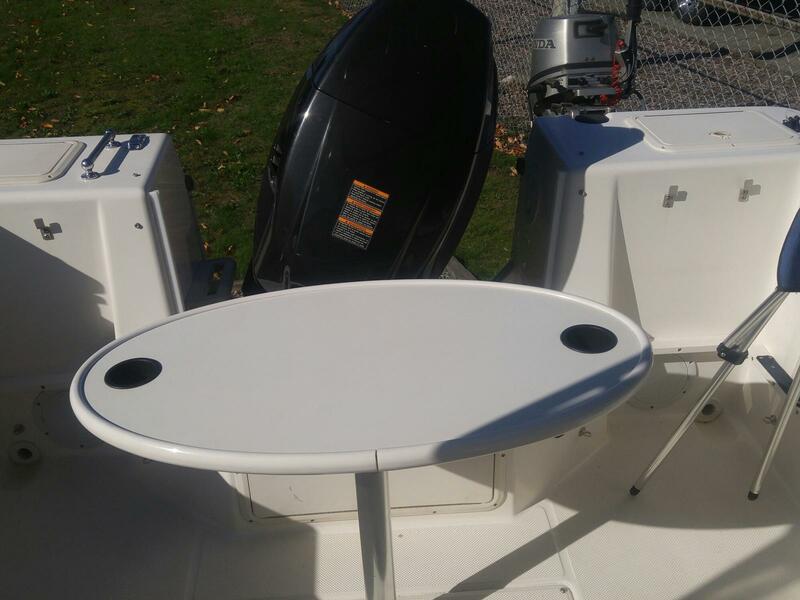 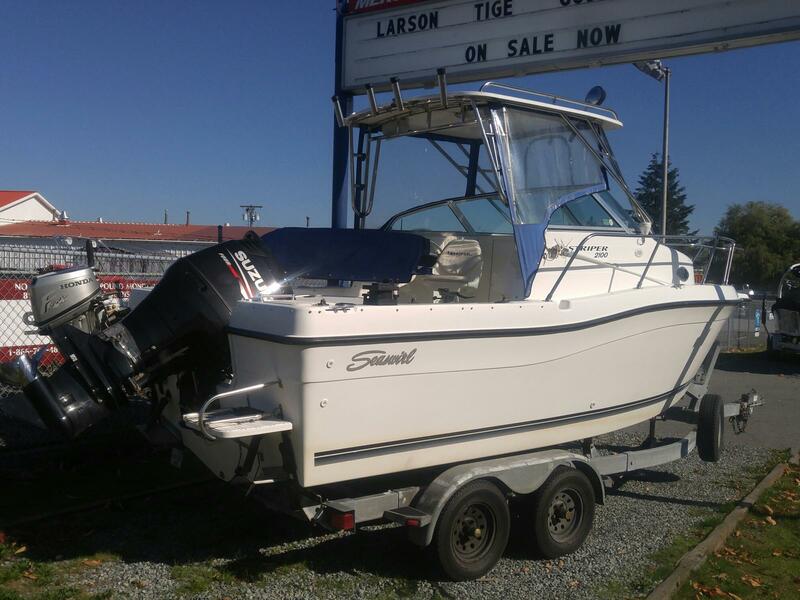 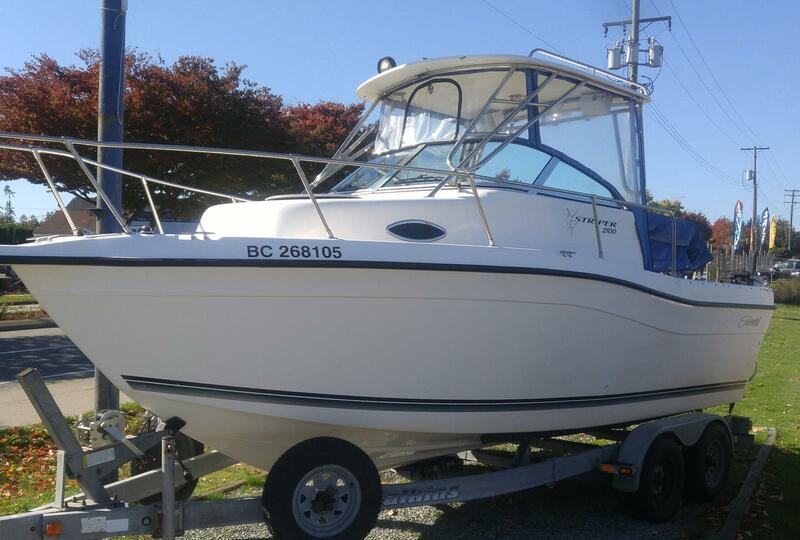 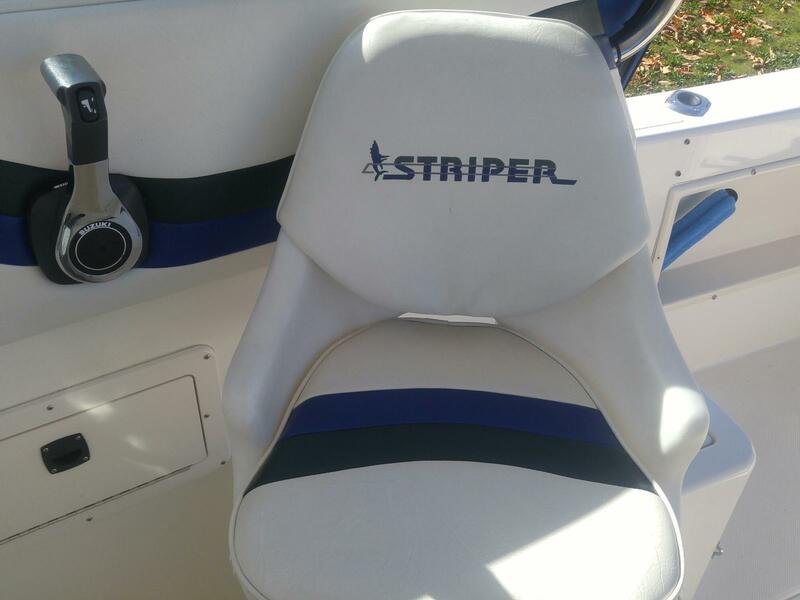 Just traded in, this Striper 2100 is an exceptional opportunity to get a premium fish boat for a fraction of the price of new! 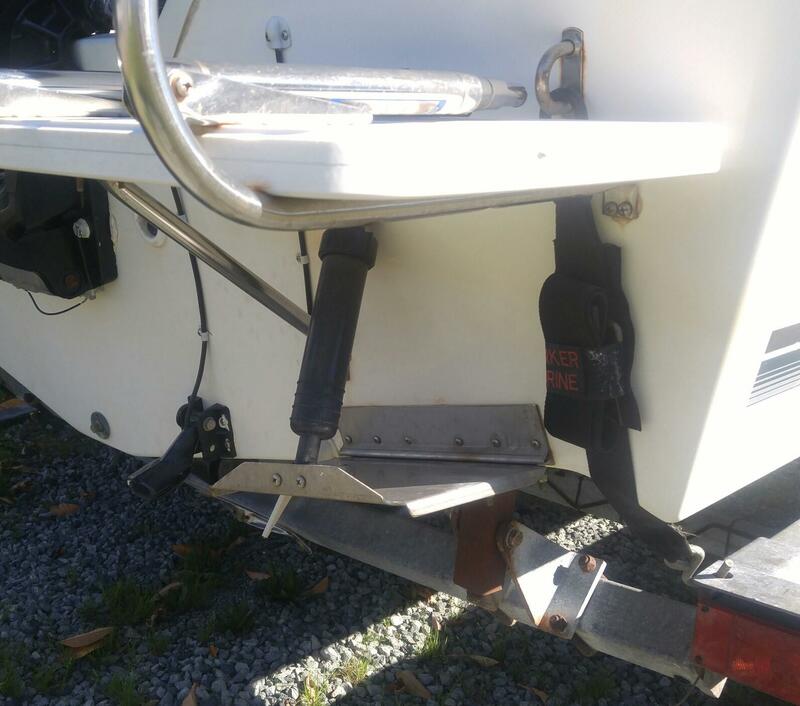 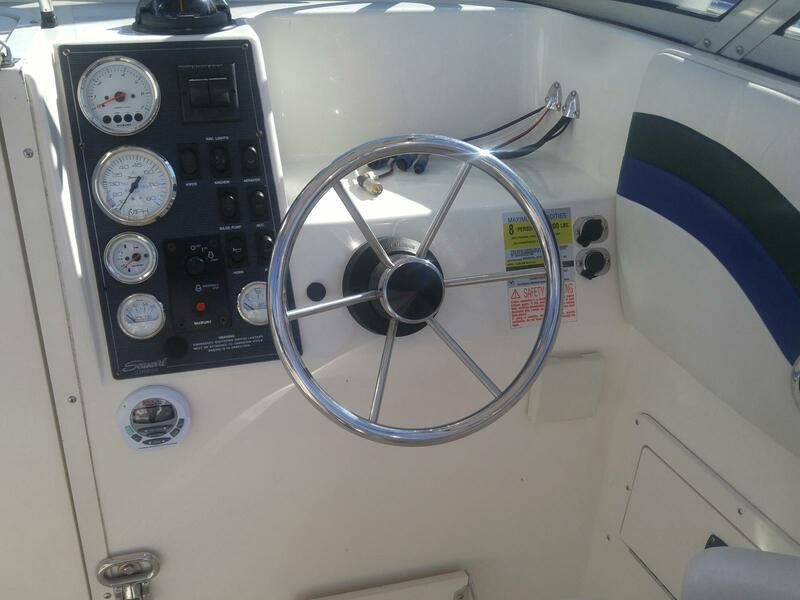 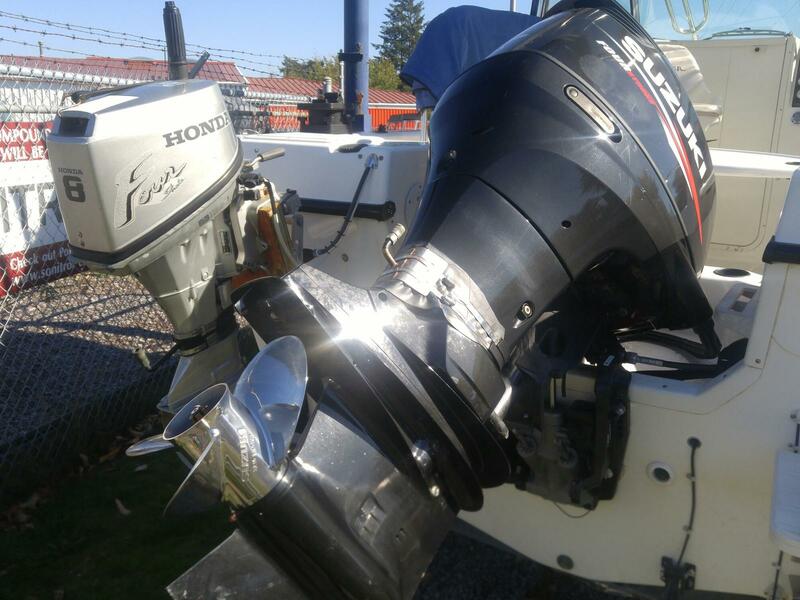 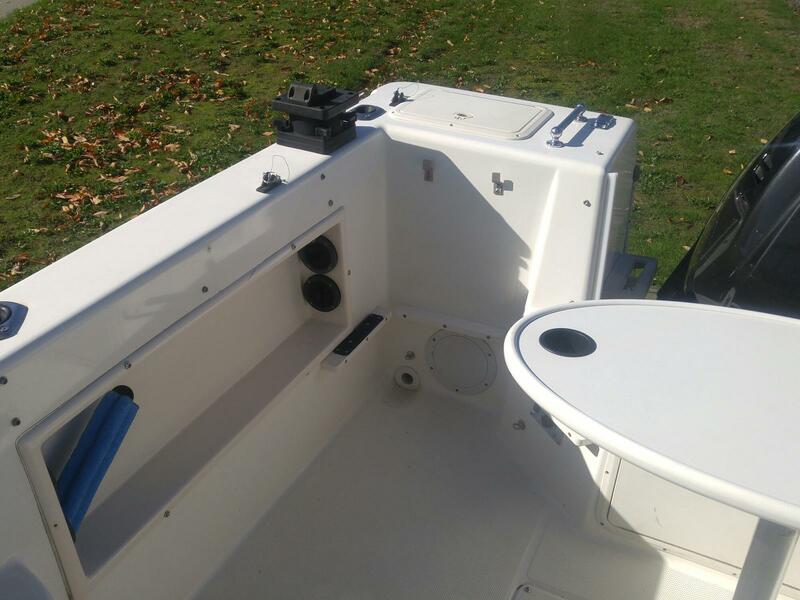 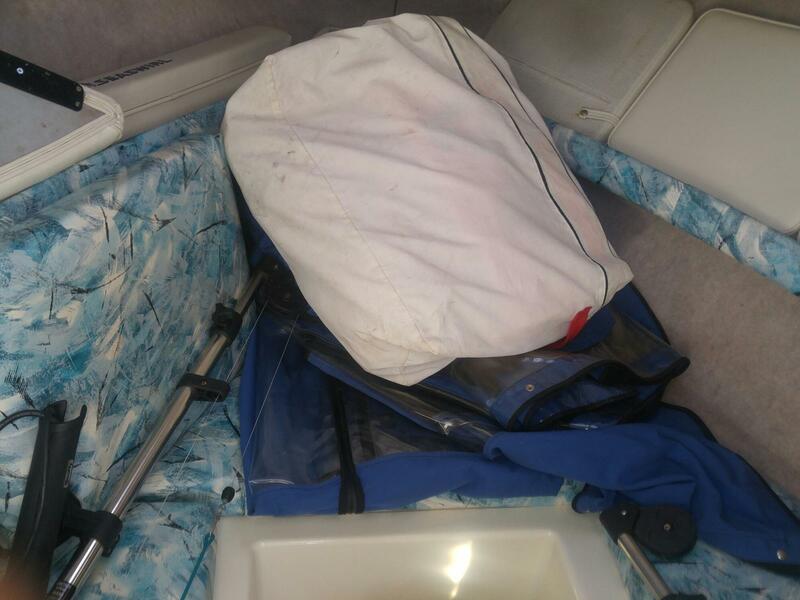 The hull is very deep with great freeboard, and the boat was recently re-powered with a 2012 175hp Suzuki 4 stroke EFI and Stainless steel prop, with approx 200 hours on her. 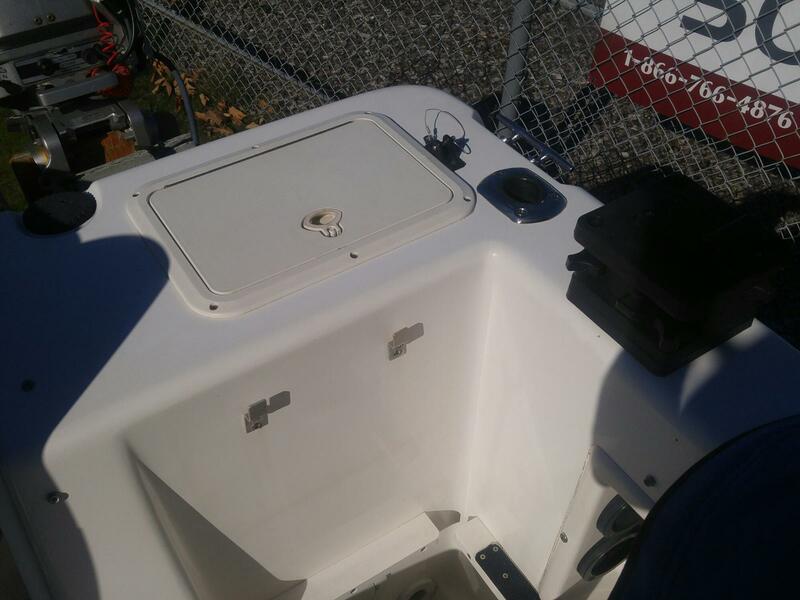 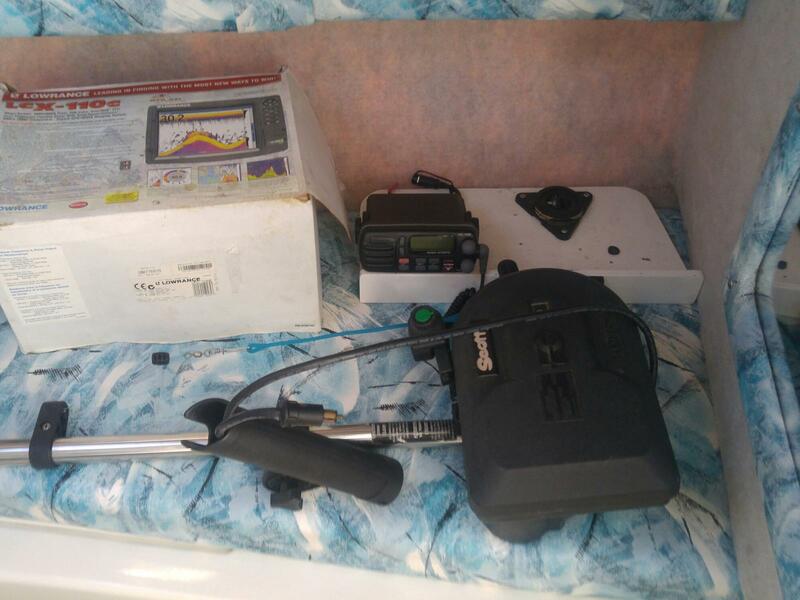 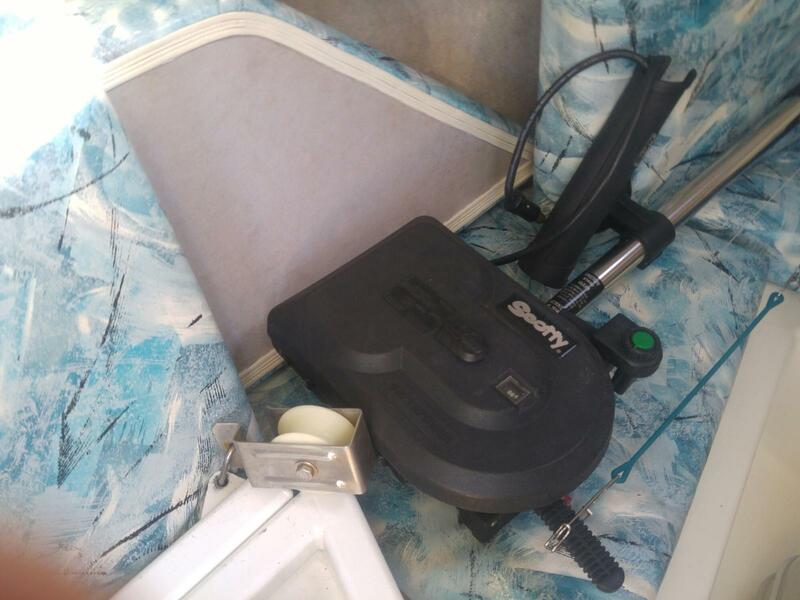 She also comes with an 8hp Honda 4 stroke kicker, directly plumbed into the fuel line. 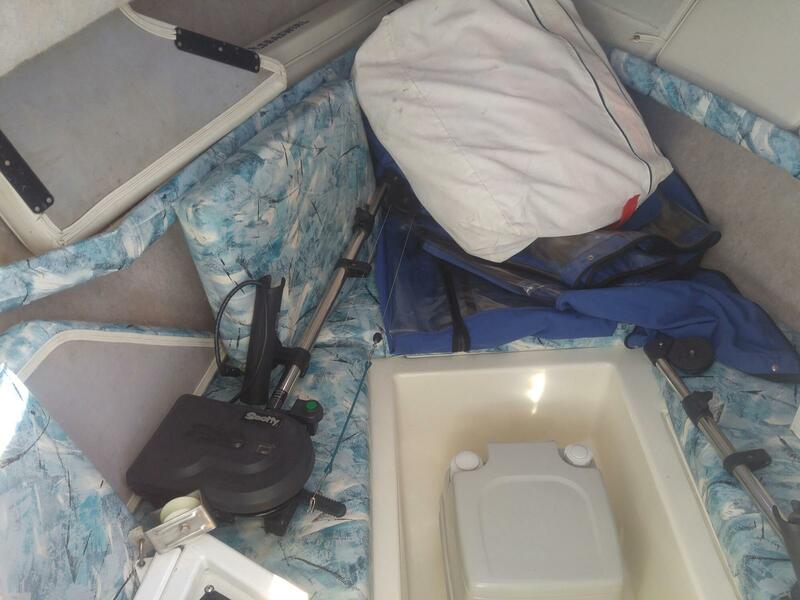 porta potti and much more! 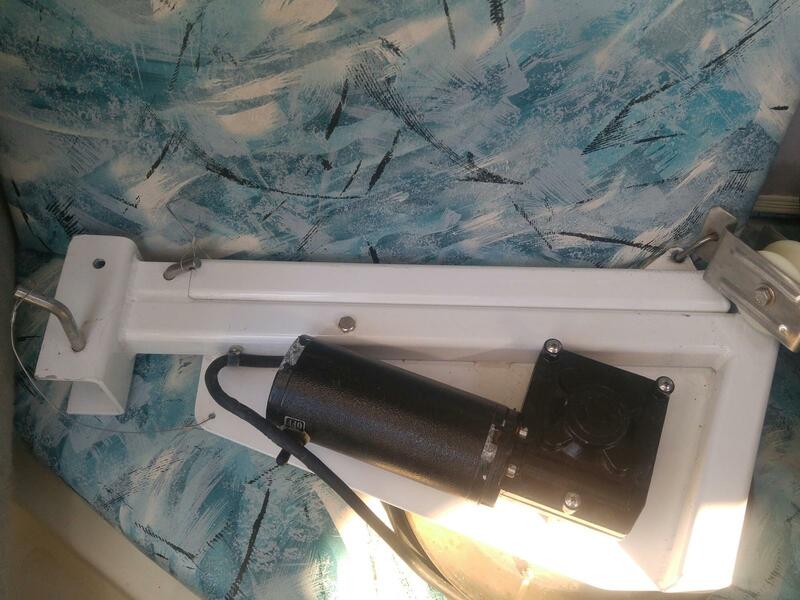 Full mechanical engine report, polish and detail is included!